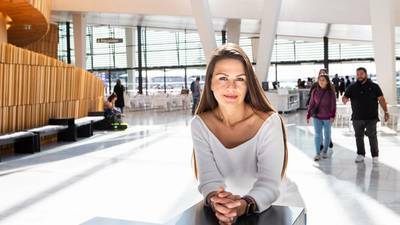 Nor-Shipping is continuing its mission to build ‘your arena for ocean solutions’ with the recruitment of its first Head of Sustainability and Technology, Silje Bareksten. A press release stated that the development marks another step in an evolution that aims to realign the event week to support, serve and enable the maritime industry of tomorrow. "Over the course of 2018 Nor-Shipping has rebranded, repositioned to help its maritime base exploit the potential of increasing ‘ocean industry’ activities and announced that its exhibition Hall A will now focus on the Blue Economy; showcasing firms and concepts that balance business with sustainable resource use and environmental protection," the release said. Bareksten’s appointment fits neatly into this context, it said. “Maritime is in pole position to help society build a thriving and sustainable ocean economy,” said Nor-Shipping Director Per Martin Tanggaard, “and we want to help our exhibitors and visitors realise the huge potential on the horizon. Bareksten will now lead the development of the Blue Economy hall and champion Nor-Shipping’s green and digital initiatives. Prior to taking on the new role she was Head of Smart City in Oslo, where she created the first smart city accelerator and helped position the Norwegian capital as a smarter, greener, more inclusive and creative place to live and do business. She has also worked as Innovation Manager for technology transfer company Inven2 and has experience from CERN in Geneva, Switzerland, alongside the International Space University (ISU). Speaking about her new role, Bareksten noted: “The oceans hold the key to our future, and an increased focus on sustainability, new regulations and emerging technologies represent both huge business opportunities and vital ingredients for the prosperous development of society.